Most people in the United States are unaware of their options when it comes time to plan a funeral and explore cemetery options. Nearly all cemeteries in the United States use conventional burial practices. These practices include embalming the body with toxic chemicals, burial caskets made of heavy metals, and the use of concrete or metal grave liners are required. All of these practices are environmental hazards and are not required by law. Additionally, conventional cemeteries use pesticides, lawn care machinery and unknown amounts of precious water in the maintenance of lawns, trees and shrubs. There are very few natural or green burial grounds in California. The good news is Nevada Cemetery District is now offering Natural Green Burial Grounds in Western Nevada County. Green burial is a traditional form of burial that allows natural decomposition of human remains back into the earth. Concrete and steel grave liners are not allowed. This form of burial offers the least environmental impact possible in a wilderness-like setting. No toxic chemicals are allowed, and only earth friendly caskets or shrouds may be put into the all-natural grave. Ground maintenance is minimal due to the natural setting of shrubs and trees. Families and communities can be involved in burial of loved ones. June 2014, Nevada Cemetery District Operations Manager and longtime Nevada County resident, Matt Melugin began researching the feasibility of green burial in the district. There were no established protocols and procedures for green burial grounds in California, so Melugin had to devote countless research hours, and created methods and procedures for Natural Green Burial in his district. As an advocate for green burial in Nevada County, Akhila Murphy of Full Circle of Living & Dying attended several Nevada Cemetery District Board Meetings in order to compel the trustees of the district to establish green burial in our local cemeteries. Green burial allows the body to return to the earth in a manner that does not inhibit decomposition and allows the body to recycle naturally. Green burials are an environmentally sustainable alternative to conventional funeral practices using non-toxic and biodegradable materials. Each year across the US conventional funeral practices may use toxic embalming fluid (not required by law), tons of steel, copper and bronze in caskets, millions of board feet of hardwoods, over a million tons of reinforced concrete for grave liners (vaults) or over 10 thousand tons of steel in vaults. These are environmentally destructive practices that are not required by any laws, but are simply cemetery policies that are not necessary. A letter writing campaign ensued with many community members expressing the desire to see Natural Green Burial as an option in Nevada County. A section of cemetery where vaults are prohibited allowing for natural decomposition of the body. A natural burial ground with native trees and plants. No lawns which require gas powered equipment to maintain, and no use of pesticides. Family participation at graveside burial. October 21, 2015 The Nevada Cemetery District Board meeting included Green Burial on the agenda. Community members Susan Pelican, Pam Jung, and Akhila Murphy attended to hear the district’s plans and voice our need for true Natural Green Burial grounds. Akhila advised the board that a group of local citizens took a field trip to Red Dog Cemetery. This was the site offered by the district as a possibility for Green burial using a grave liner made of some sort of plastic. The group felt that although the cemetery has great historic value, provides a natural forest and beautiful location, access was unacceptable along a 2 mile rutted dirt road. It was way too far out of the city area and most importantly we cannot accept any grave liner in order for this to be true Natural Green burial. Note: We are ever so thankful for Nevada Cemetery Board Trustee Sushila Mertens for being a tireless advocate and sometimes lone voice for bringing Natural Green Burial to Nevada County. ​Matt Melugin Manager of Nevada Cemetery District spoke about another cemetery location that he researched for Natural Green Burial, Cherokee Cemetery which was acquired by the district from Ananda. 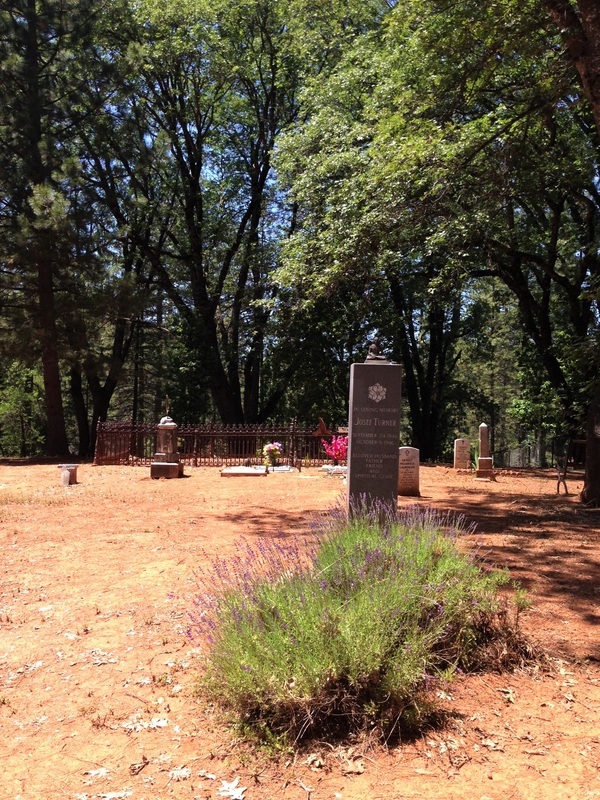 This is a small cemetery off Tyler Foote Road, Nevada City with a natural looking environment, no lawn, plenty of room for green burial, and each access along a short gravel road. At this point the cemetery board also offered a plan to use gravel, soil and rocks in the burial process without use of a grave liner. The rocks are necessary for the cemetery district to be able to identify boundaries of a grave when future digging is needed for new burials. Pam Jung and Akhila Murphy representing the community agreed that this would be much closer to true natural green burial than the prior plan to use a plastic grave liner. At the close of this agenda topic the Cemetery District agreed to pursue green burial at Cherokee. December 2015: In follow up conversation with Matt Melugin he is confident that the Cemetery District will move forward and begin to offer green burials by mid-2016. He is enthusiastic about becoming the first public cemetery district in northern California to adopt a set of procedures and protocols for processing green burials in our state, in hopes that districts will follow. Stay Tuned: Full Circle Living & Dying Collective will continue to advocate for green burial options and is currently in discussion with the owner of a private cemetery in the Smartsville area who is very interested in using his cemetery for green burial. NOTE: There are only a handful of cemeteries in California that offer green or natural burial. The Green Burial Council outlines guidelines for various levels of green burial. The new option, a Natural Green Burial program adopted by the Nevada Cemetery District for Cherokee Cemetery in North San Juan is of the highest level of compliance. 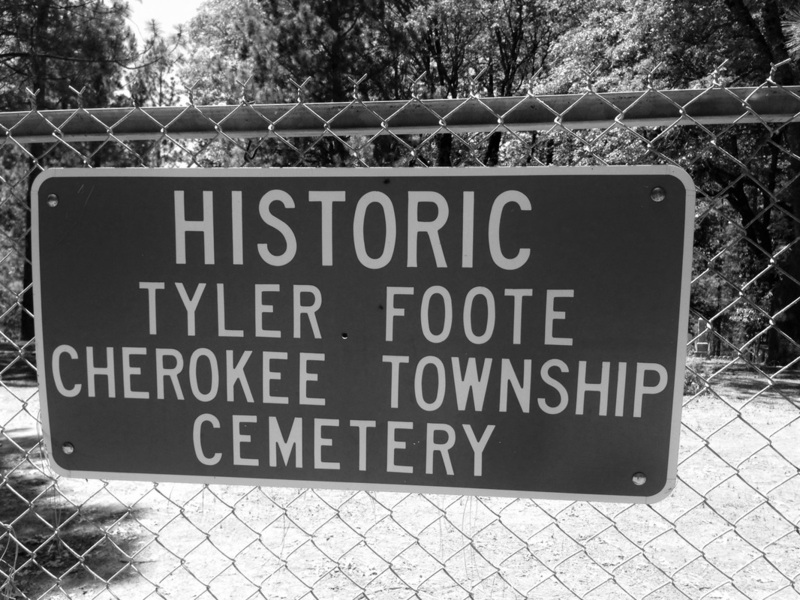 An entire section of Cherokee will be reserved for green burial only. Shrouds, cardboard and pine caskets without metals or toxic glues are allowed. Natural stone grave markers, family participation, and graveside ceremonies are allowed. Embalming and grave liners are not allowed. There are no lawns to be maintained and watered, no pesticides use, and the burial grounds at Cherokee consist of natural grasses, shrubs and tall oaks and pines. Very affordable fees. Nevada Cemetery District was established in 1942 in an effort to preserve the historic cemeteries in Western Nevada County. It is an Independent Special District partially funded by Nevada county property taxes. The district oversees and maintains 28 cemeteries and is the largest district in California in both the number of cemeteries and square miles of territory. 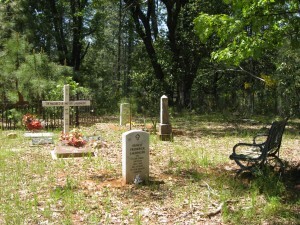 Local tax payers and their family members are eligible for burial in the eighteen active cemeteries which now includes Green Burial Grounds at Cherokee Cemetery. From an environmental standpoint green burial offers the best environmental protection against toxic chemicals, and byproducts of enormous carbon emissions produced in the manufacturing and transportation of cement grave liners and caskets. Cremation burns fossil fuels, and mercury is also emitted into the atmosphere when dental fillings are cremated. As a final act of life in death, Green Burial services and products help minimize environmental impact. For more information about Cherokee Cemetery and Green Burial Plots contact the Nevada Cemetery District (530)265-3461 Thank you Matt Melugin for setting a new standard that all forward thinking cemetery districts in America should be adopting immediately.